...and one field only: tourism, travel and hospitality. Because word gets around that we do a good job, we're periodically invited to bid for accounts in other fields. We always say “no thanks,” because it's the tourism and hospitality business that we know inside-out, and that's where our strengths lie. 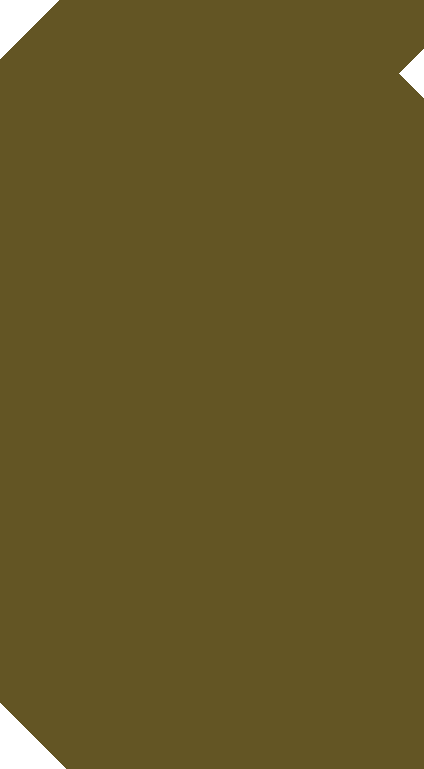 Members of the Weill Team come from a variety of backgrounds. We're multilingual. And multinational. We combine a transatlantic sensibility with all-American talent and flair. We've worked with and for government tourist offices, tour operators, airlines, hotel chains, travel agencies, non-profit organizations, public relations specialists, advertising agencies, marketing experts, research specialists, graphic designers, printers, writers, journalists, authors, magazines, newspapers, filmmakers, impresarios, and with all levels of print and electronic media. Born and educated in England, Geoffrey Weill has lived in the United States since 1973. 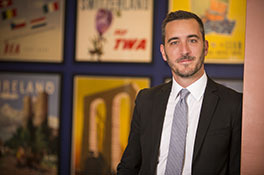 His career began with Thomas Cook, first in London, then as Assistant Manager of the Thomas Cook office on New York's Fifth Avenue, then as Manager of the Thomas Cook office in Baltimore. His career has been entirely devoted to positions and fields related to travel. 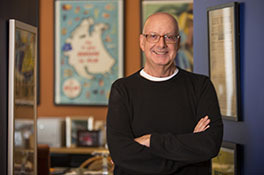 From 1976 until 1984, Weill was Executive Director of Israel's Ministry of Tourism, in North America with primary responsibility for the Israel Government Tourist Office's Public Relations and Advertising . From 1984 until May 1995, he directed the AJCongress International Travel Program, an outreach program to forty countries around the world, sponsored by one of America’s oldest human rights organizations. In the summer of 1995 he opened WEILL (Geoffrey Weill Associates), a company specializing in tourism and travel-related promotion and public relations. The company has grown and broadened, and WEILL has won some 100 HSMAI public relations awards. In 2014, Geoffrey Weill was honored with the HSMAI Lifetime Achievement Award. Geoffrey Weill is a widely published travel writer and photographer and has visited more than 100 countries. He has lectured on travel and tourism at Oxford University, England, at New York University and at a variety of United States locations. He has co-chaired two conventions of the Society of American Travel Writers. He has appeared on CBS, NBC, CNN and a variety of local television and radio stations. He has also served as a guest lecturer aboard RMS Queen Elizabeth 2 and guest historian aboard the MS Silver Cloud. He speaks, reads and writes four languages, and can struggle by in two more. 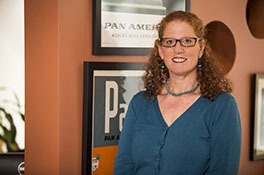 A former journalist and travel writer, Ann-Rebecca joined WEILL in 1996. She has more than 30 years’ experience in the publishing and travel public relations industries. As a journalist, she has written and edited articles for top consumer publications including Glamour, Audubon, newsweek.com, Ladies Home Journal, Gourmet, Conde Nast Traveler, Successful Meetings, PC Magazine, SmartMoney and Birnbaum Travel Guides. She is an adjunct professor at NYU’s Tisch School of Tourism and Hospitality. First traveling to Europe alone at age 15, she has been a world traveler ever since and has lived in England, France, Taiwan and Russia, teaching English in the latter two. She has visited more than 50 countries in Europe, Latin America, Asia and Africa. She received a B.A. in English Literature and French Language from Georgetown University; a diplôme semestrielle from the Sorbonne in Paris and a certificate in Chinese from Tunghai University in Taiwan. She speaks French, as well as some Chinese and Spanish. 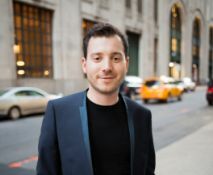 Before joining WEILL in 2007, Mark Liebermann worked for nearly ten years as an editor and writer, contributing to such publications as InStyle, SHAPE, Natural Health and Empire magazines. For three of those years, Mark served as the travel editor of GENRE magazine, for which he covered Germany, Puerto Rico, Spain, Switzerland, Tasmania and more. And when the opportunity arose to join "the fabulous team at WEILL" (his words) with whom he had previously traveled throughout Morocco and South Africa, Mark happily decided to “cross the aisle” over to travel public relations. Since joining WEILL, Mark has traveled to Canada, Israel, Russia, South Africa, Switzerland, Thailand, Bhutan, Mexico, Peru and beyond..
Born in Canberra, Australia, to American parents, Mark grew up traveling throughout Europe, Asia and around the United States. From his first bite of pain au chocolat in Paris at seven years old to a wide-eyed four am tour of the Tsukiji fish market in Tokyo, Mark discovered a twin love of travel and food early on in life—and it has never waned. A resident for nearly 20 years of Brooklyn (home, incidentally, to some of New York’s best food), Mark has a Bachelor’s Degree in English and Comparative Literature from New York University. Beth has a passion for promoting travel. 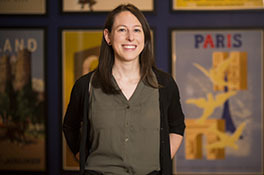 With over four years of experience working at the French Tourism Office in New York, Beth has visited parts of Eastern Europe, Italy, Spain, England, Israel and Greece. Born and raised outside Philadelphia, Beth danced ballet from a young age and developed a discerning taste for film. She didn't travel outside of the U.S. until high school, but that first trip to London and Paris changed everything. When travel is not on the agenda, Beth loves to walk around her Brooklyn neighborhood, check out new cocktail bars, or see an indie film (probably in French). Beth has a Bachelor's degree in Cinema Studies and French from New York University. Born in Washington DC to a Dutch father and an American mother who worked in the travel industry, Rebecca had a deep sense of wanderlust from a young age. Once she could travel on her own, her first real stint was traveling throughout Israel for a year. She graduated from Cornell University‘s School of Hotel Administration with a Bachelor of Science degree. She spent a semester abroad painting in Aix-en-Provence. Following graduation, Rebecca completed a Management Training Program with the Sofitel Luxury Hotels group and was stationed in Morocco. She later worked for the largest tour operator in Morocco as an International Sales Manager, traveling throughout Europe and North America to implement an international sales strategy. 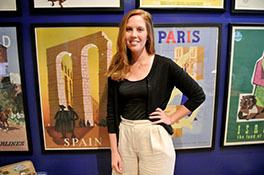 Her experience in the world of hospitality led her into travel-related public relations. Currently based in Brooklyn, Rebecca enjoys cooking and trying new wines. Julian was born in London and since his first voyage to Nice at just four weeks old, he’s had an insatiable passion for travel. Having grown up outside of New York City with frequent stints back to the United Kingdom and his mother’s native Argentina, Julian considers all three places home. He is fully bilingual in English and Spanish. 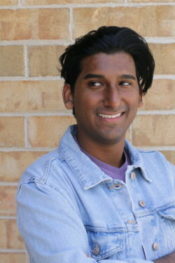 He graduated from Emerson College in Boston with a Bachelor of Science in Integrated Marketing Communications. From Brazil to Bariloche, with Spain and Seoul in between, Julian has mastered globetrotting. After graduation, Julian spent two years traveling, working as a freelance marketing consultant across the globe, including London, Bonaire and Buenos Aires. In 2015, he returned to New York City where, through the art of public relations, he assisted a range of luxury hospitality brands to tell their stories. His roster included clients ranging from boutique properties in Sardinia, to a large scale luxury resort in Las Vegas. An avid traveler, over recent years Julian has visited destinations including Japan, Israel, Italy, France, Greece, and Uruguay, to name a few. Currently, Julian resides in Brooklyn, New York, where he enjoys scoping out the city’s eclectic culinary scene. During the weekends and summer, you can find him on the North Fork of Long Island, where his father owns an oyster farm, tasting wines at local vineyards. Born and raised in New York, Keaton graduated from Hofstra University, where he was a double major in Television Writing and English. While at Hofstra, Keaton worked on a ton of TV and film projects, even writing and producing his own web series, and worked as the managing editor of Hofstra’s MFA literary journal, Windmill, for two years. Before joining the team at WEILL in August 2018, Keaton interned at Last Week Tonight with John Oliver. Founded in 1995, WEILL has grown from a one-room-one-client-1.5 staff company, to a noted, award-winning firm with multiple clients and a continually expanding staff of specialists in tourism communications. "What sets us apart," says company president, Geoffrey Weill, "is that this company was and continues to be run and staffed, by people who, like me, simply enjoy writing about travel, about hotels, about the romance of taking a vacation. We’re this eclectic grouping of individuals who can think of few things more pleasurable than waxing lyrical about the perfect hotel or the most divine meal...people who get a kick out of enthusing others about travel, and who, of course, are passionate about traveling themselves."